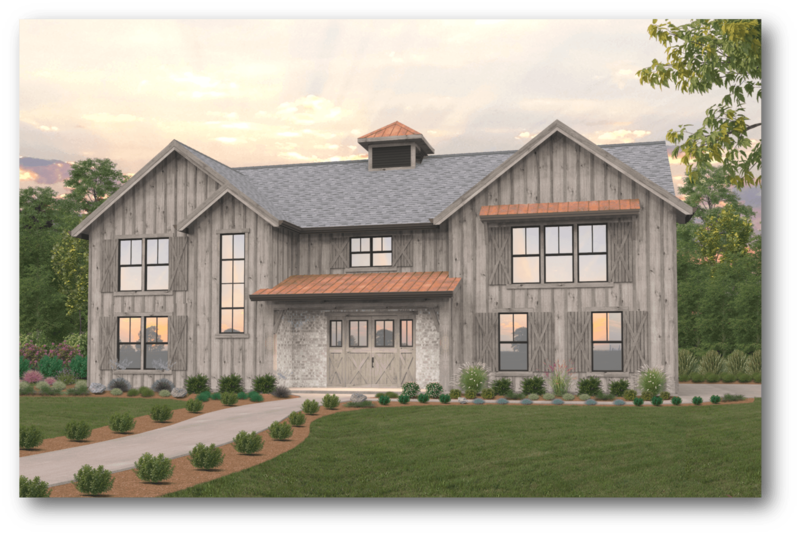 Township is a shining example of the marriage we’ve created between easy living and flexible floor plans and the overwhelmingly popular barn house style. 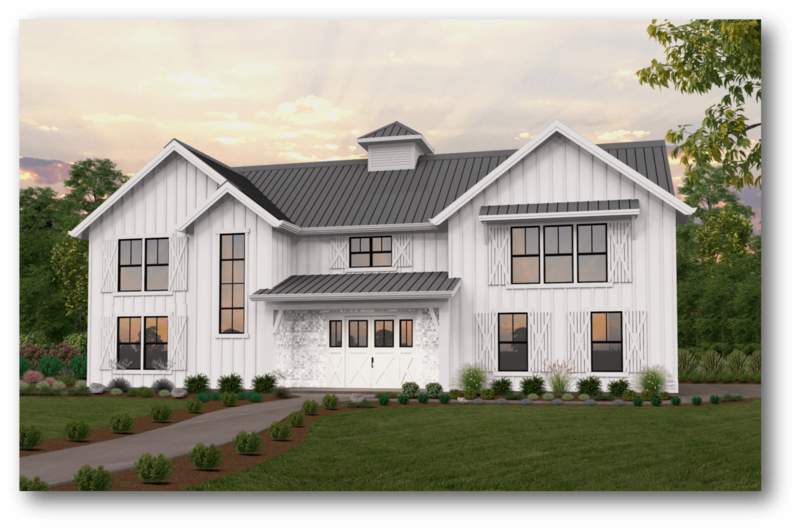 The inviting covered porch welcomes you into the wide open foyer, which itself leads straight to the open concept kitchen and two-story great room. The great room, which is open to the upper floor, includes a cozy fireplace. The L-shaped kitchen includes a large island and a walk-in pantry. 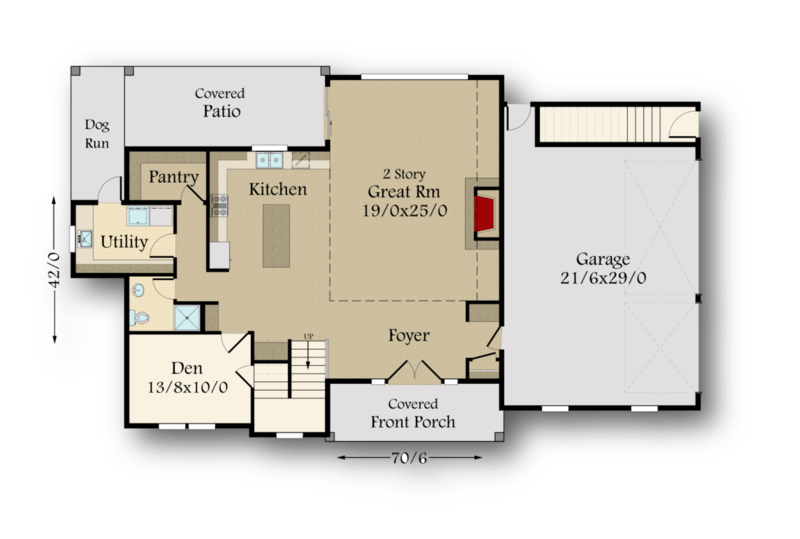 Also on the lower floor is a large den with a 3/4 bath just around the corner. Outside the utility room is a well-placed dog run. All of the bedrooms in this home are upstairs, as well as a second kitchen, and bunks for visiting children. The master suite looks out the back of the home, perfect for a rear view lot. The master bath includes his/hers sinks, separate tub and shower, and private toilet. 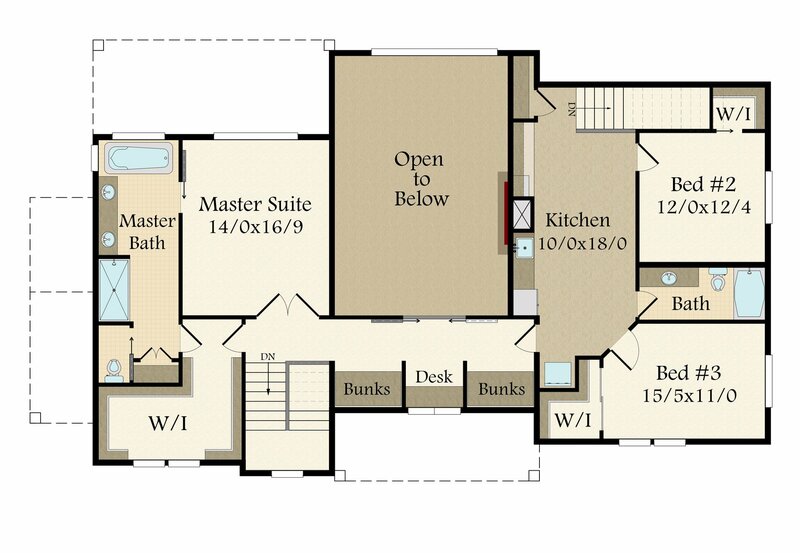 The large L-shaped walk-in closet is accessible from either the master bath or the hallway. The two bedrooms on the right side of the home have their own kitchen and private entrance at the side of the home, perfect for long term guests or as an ADU.